The Novatred Entrance Matting system has been specifically designed and engineered to provide a solution for dirt and water control in high traffic entrances whilst maintaining the quality Architectural Image. The easy to install, versatile roll up mat, either recessed or surface mounted, has many commercial and industrial applications. In entryways or in service areas of apartments, offices, hotels, motels, retail shops, malls, restaurants, bars, schools, churches, factories etc. Nuway Reversible Entrance Matting systems offer premium performance to provide a solution for every high traffic entrance giving architectural image whilst offering exceptional protection against moisture, corrosive grit and grim. 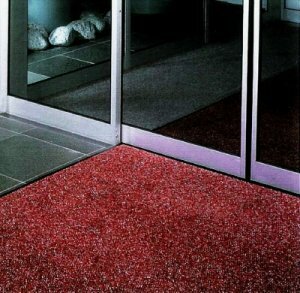 Available in many different colours, Nuway Entrance matting systems have been at the forefront of specialist entrance flooring technology for over 75 years. 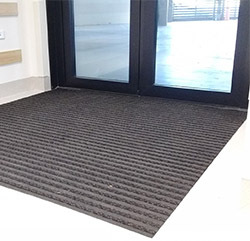 Boardwalk Entrance Matting is innovative, easy to install primary barrier matting, suitable for medium levels of foot and wheeled traffic in internal applications such as schools, offices and retail buildings.